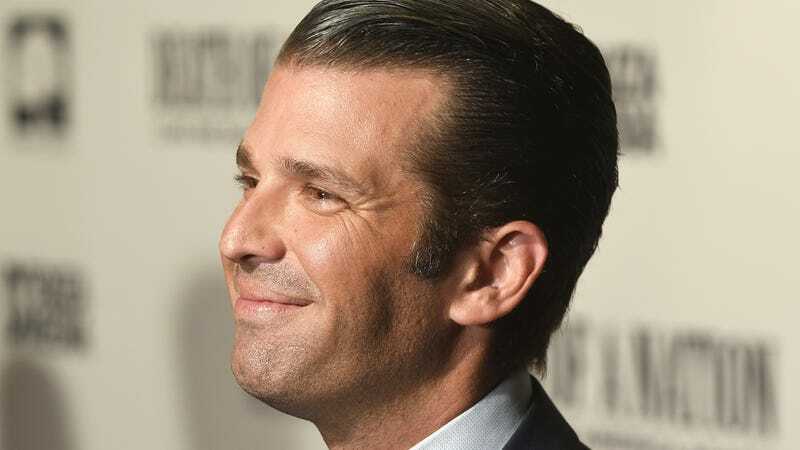 President Trump’s large adult son Don Jr. dined at Salt Bae’s restaurant in New York Thursday night. Don Jr posted a video to Instagram of Salt Bae himself—wearing sunglasses, of course—carving what appears to be a fillet of steak. “Looks good, man!” Don Jr groaned after Salt Bae topped his steak with a sprinkling of salt with his famed flourish. Hitting up Salt Bae’s restaurant was an interesting move, considering the fact that the Turkish chef—Nusret Gokce—is now incredibly unpopular with the right. Senator Marco Rubio made a stink a few weeks ago when Gokce served a lavish steak dinner for Venezuelan President Nicolás Maduro at his restaurant in Istanbul.